Dementia is a general term for a decline in mental ability that is severe enough to interfere with daily living. Alzheimer ’s disease, which is the common type of dementia, is a progressive disorder in which, for unknown reasons, nerve cells in particular areas of the brain degenerate and dies. Alzheimer’s disease can be a challenging journey, not only for the person diagnosed but also for their family members and loved ones. 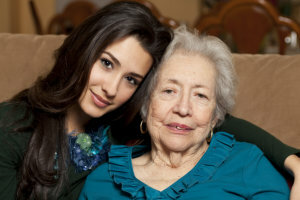 Caregiving is a large commitment that gets bigger over time and the person will eventually need round-the-clock care. The team at ExPO Signature Home Care, a dedicated Home Health Care Agency in New Jersey, is committed to helping families meet the challenges of Dementia and Alzheimer’s disease. Having a general daily routine in Alzheimer’s and dementia care helps caregiving run smoothly. These routines will give a sense of consistency, which is beneficial to the Alzheimer’s patient even if they can’t communicate it. Keeping a sense of structure and familiarity. Having consistent daily times for activities such as waking up, mealtimes, bathing, dressing, receiving visitors, and bedtime. Maintaining a regular schedule may help orientate the person. Letting the person know what to expect even if they are not sure that he or she completely understands. Caregivers will often use cues to establish the different times of day. Involving the person in daily and social activities as much as they are able.